Pick up and play! 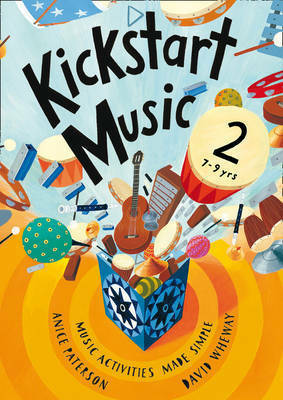 Whether you want to spend 10 minutes or two hours on music, Kickstart Music 2 is a complete activity pack for 7-9 year-olds. Bursting with inspiring music ideas, it has practical instructions for engaging lessons covering the entire subject. Whatever your resources or previous music teaching knowledge, Kickstart Music 2 is a step-by-step, no nonsense guide to confident, effective music teaching. The book includes guidance and activities covering all musical elements such as rhythm, composition, listening, playing and singing. Kickstart Music 2 can be used in a variety of ways and suits holistic, flexible teaching. It is a fantastic 'dip-in' resource which practitioners can open at any page and try, but it is also a comprehensive scheme of work which can be covered from beginning to end over the course of time. 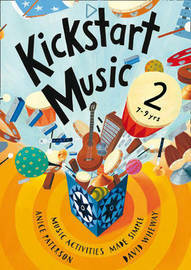 Other books in the new A&C Black music series include Kickstart Music 1 (5-7 year-olds), Kickstart Music 3 (9-11 year-olds) and Kickstart Music Early Years for under-fives. Anice Paterson and David Wheway were Music Advisers for Leicestershire and Northamptonshire where they wrote a number of music resources for classroom teachers. Both authors have been teaching for over twenty years.